Italy has always been famous for its food. People eat pizza and pasta and drink Italian red wine all around the world. But there is a lot more to discover than those tasty dishes. Tuscany, a region in the centre of Italy, in particular offers lots of different tastes and some of the best products you can get. The food alone makes Tuscany worth a visit anytime. Being one of the culturally most interesting cities in Italy, Florence does not only have great food, but also amazing architecture, art and literature to look at. 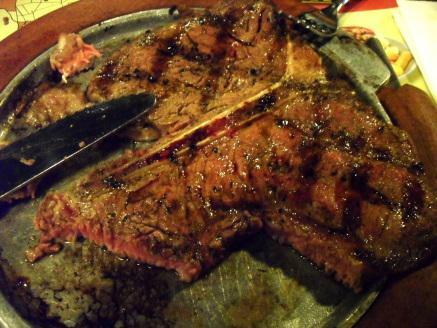 And after visiting the most important landmarks you should definitely go to one of the many trattorias (cafe or diner) and ristorantes (restaurants) where you can get the renowned “Bistecca Fiorentina”, a well-aged, thick t-bone steak, traditionally grilled directly over hot coals. You will not need anything but this great piece of meat to bring you to culinary heaven. Just add a glass of good wine and a simple but awesome meal is done. 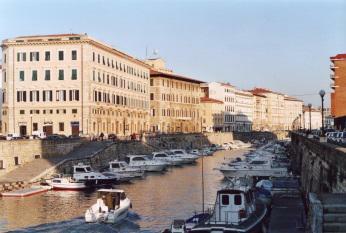 As one of the bigger towns at the Ligurian sea, Livorno has a lot of different sea food to offer. Sitting on a terrace directly at the water, enjoying a good salt cod in tomato sauce or “Scampi al Forno” makes a holiday ever tastier. Tuscany also has a lot of rustic meals to offer, and where can you enjoy them better than at old farms, embedded in the beautiful Italian countryside. There are lots of freshly renovated farms at Castelfalfi, a small town near Florence. And though modernised, they have not lost any of their initial flair. 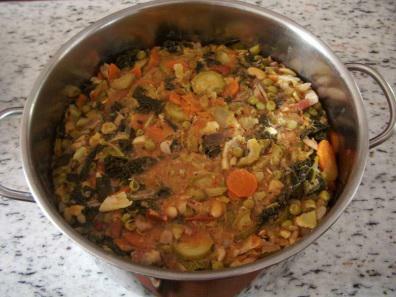 Just imagine sitting outside, having a “Ribollita” (a traditional vegetable soup), accompanied by some “Bruschette” and a glass of regionally produced Chianti red wine. Well, those setting are just possible suggestions of where the good food of Tuscany can be enjoyed the right way. There is a lot more to explore in this culinary wonderland. And maybe some people will take back a good bottle of olive oil or wine to relish with friends at home. Castelfalfi looks heaven to me. So healthy and yummy. WHERE IS THE PHOTO OF PIZZA :P? We spent a couple of weeks in Tuscany & neighboring Urbino a decade ago. A friend is planning a trip in a few months, so we have been going back through our books. The food was delicious, mainly because the ingredients were so fresh (not out of cans or frozen from who-knows-how-many-seasons-ago). Also, the experience of dining (devote 2 – 3 hours per meal) is part of the entertainment. No fast-food! Ah Livorno, I’ve been there a few times. I don’t know the name but there is a great restaurant at the end of the road by the harbour (seems to be in the middle of nowhere). Mind you I’ve had lots of belly stuffing wonderful meals in Livorno. All looks good but seafood would probably be my first choice. Missing your posts, they make me smile and hungry!